Setting one to three realistic financial goals is critical to financial success. In Steps 1 and 2 of this series, I talked about creating systems for tracking and recording your expenses. 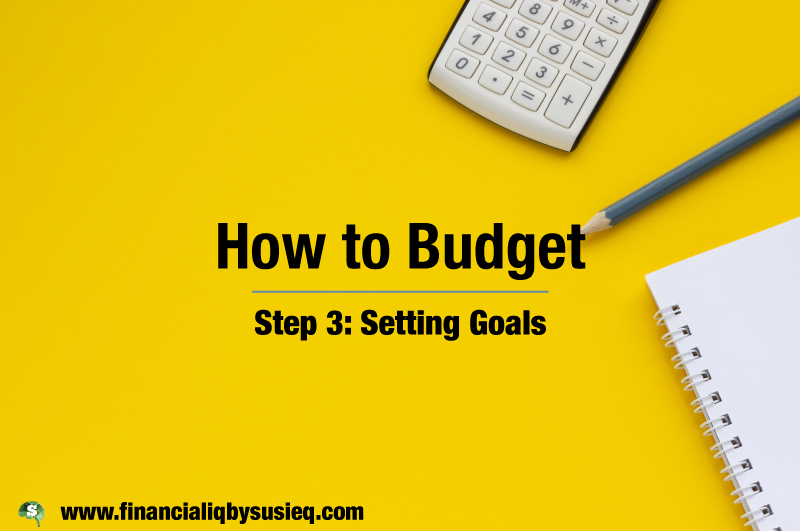 This week, I’ll finally focus on the first step I take in budgeting (as described in my very first post), setting goals. Convert the goals to short-term, specific action items. For people who have a lot of student loans, credit card debt, car loans and/or other loans: I want to be debt-free, other than my mortgage, in five years. For people who can’t quite make ends meet: I want to create a budgetA plan showing targets for income and expenses over a fixed time period, such as a month or a year. and spend less than I make. a. I want to be able to buy SOMETHING I WANT or take a vacation to SOMEPLACE I WANT TO GO within three years. b. I want to be able to buy a $250,000 house with a 10% down paymentThe amount you have to pay in cash up front for your purchase within two years. c. I want to be able to take maternity/paternity leave and support SOME NUMBER of children starting next year. d. If you are under 40: I want to start saving as much as possible for retirement. e. If you are over 40: I want to save enough so I can retire at AGE with SOME AMOUNT of money (before inflation) available every year. Pick no more than three goals, preferably only one or two, to target over the next few years. Make sure they are realistic. For example, if your student loans and credit card debt are a substantial portion of your income, it might be unrealistic to set a goal of paying them off in one year (unless you want to take the FIRE concept to an extreme). Or, if you are 50 and have no retirement savings, a goal of retiring at 55 is likely unrealistic unless you have another source of income. Now that you know where you want to go, you need to identify what you need to do this year that will allow you to achieve your goals. The list below gives some ideas for the sample goals above. • Credit cards: The amount of purchases you have made but not paid on your credit card ... More on all of my debt in addition to the regularly scheduled payments. I will also pay all current charges on my credit card every month and not take out any other loans. I want to spend less than I make. This year’s action items: Create a budgetA plan showing targets for income and expenses over a fixed time period, such as a month or a year. to see where I can cut expenses. Find an additional source of income that will cover the expenses that exceed my current income. a. I want to be able to buy SOMETHING I WANT or take a vacation to SOMEPLACE I WANT TO GO within three years. This year’s action items: I will set aside designated savings equal to one thirty-sixth of the cost of my purchase every month. b. I want to be able to buy a $250,000 house with a 10% down paymentThe amount you have to pay in cash up front for your purchase within two years. This year’s action items: I will research the costs of home ownership, including property taxes, maintenance, insurance and mortgage payments. I will set aside designated savings equal to $1,041 ($250,000 x 0.10 / 24 months) every month. If the total monthly cost of home ownership is more than the $1,041 a month I am saving for the down paymentThe amount you have to pay in cash up front for your purchase, I will make sure there is room in my budgetA plan showing targets for income and expenses over a fixed time period, such as a month or a year. to cover those expenses once I buy the house. c. I want to be able to take maternity/paternity leave and support SOME NUMBER of children starting next year. This year’s action items: I will research the costs of having children, both the medical costs associated with child birth and the costs of supporting them when they are young. I will learn about how much, if anything, my employer will provide for salary replacement for maternity/paternity leave. 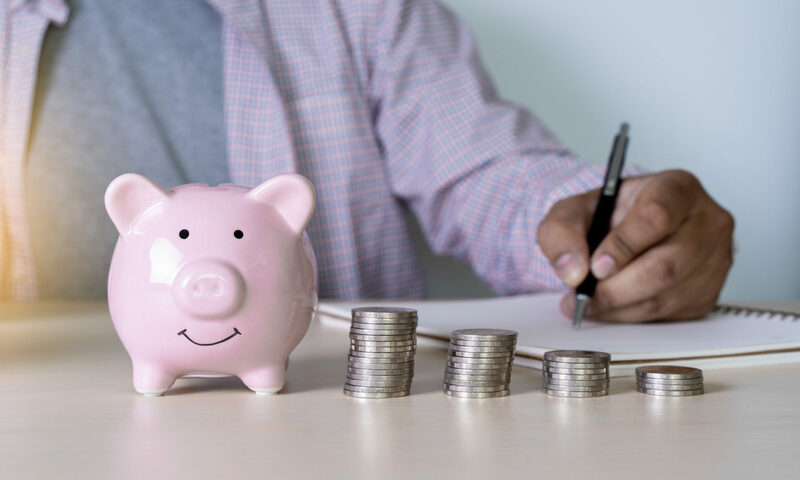 I will set aside designated savings equal to one twelfth of the difference between my normal wages and what my employer will pay during my maternity/paternity leave. I will make sure I can adjust my budgetA plan showing targets for income and expenses over a fixed time period, such as a month or a year. for next year so it covers the costs of having children. d. If you are under 40: I want to start saving as much as possible for retirement. This year’s action items: I will put retirement savings in my budgetA plan showing targets for income and expenses over a fixed time period, such as a month or a year.. I will read Susie Q’s post (when it is posted) about various retirement savings vehicles (Roth or Traditional IRAs and 401(k)s in the US or group or individual RRSPs or TFSAs in Canada) to figure out which best suits me. I will make contributions as budgeted. e. If you are over 40: I want to save enough so I can retire at AGE with SOME AMOUNT of money (before inflation) available every year. This year’s action items: I will figure out how much money I need to save every year to meet my goals, including reading Susie Q’s posts on how much that is. (See the last section of Susie Q’s post on Young and the Invested and check back for future posts.) I will put that amount of retirement savings in my budgetA plan showing targets for income and expenses over a fixed time period, such as a month or a year.. 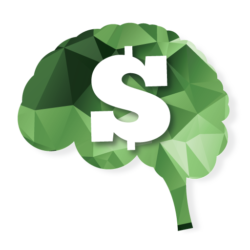 I will read Susie Q’s post (when it is published) about various retirement savings vehicles (Roth or Traditional IRAs and 401(k)s in the US or group or individual RRSPs or TFSAs in Canada) to figure out which best suits me. I will make contributions as budgeted. It is good to revisit your financial goals every year or two. In some cases, you won’t have made progress towards them and you’ll want to figure out why and fix the problem or revise the goals. In other cases, you’ll have made significant progress or attained your goals and can set new goals.